THE CONCLUSIONS I drew from watching the heavyweights go at it on Saturday night all came back to one man, a certain Tyson Fury. As someone in the game of promoting fights and plotting careers, when I watch the business end of shows my thoughts always come back to assessing the form for my own fighters. Watching Dereck Chisora and Carlos Takam along with Dillian Whyte against Joseph Parker made for compelling viewing. They were exciting fights on a good show with plenty of good old fashioned bang-ups. Whyte, it has to be said did very well and, for me, he has exceeded all expectations since suffering defeat to Anthony Joshua. It was obviously unfortunate for Parker that the referee Ian John Lewis got it so wrong with the first knockdown, when it was clearly a clash of heads and we don’t know how disorientated the Kiwi was in the following rounds as a result of it. But Whyte came through and all credit to him, while Chisora was forced to withstand a Takam onslaught before conjuring up a show-stopping shot of his own to put his career back on track, when it could have been all over for him. Both Whyte and Chisora are now thinking big in terms of their next fights, but the genuine heavyweight pecking order isn’t particularly clearer after the events of the weekend. I look at the form lines. Look at the problems Takam gave to Joshua in their recent meeting and, don’t forget, Parker going the distance with him in an uninspiring unification match. Whyte rebuilt admirably after coming unstuck against Joshua and now shares the distinction of outpointing Parker. The results don’t offer up conclusive evidence of greatness in the division, which takes me back to Tyson Fury. For all the plaudits being bestowed upon Chisora, don’t forget what Tyson did not once, but twice, against him when he was far more in his prime. In the second fight he absolutely took him to school and forced him into retirement on his stool. I look at all these recent fights and think that if Tyson can come back to 70-80 per cent of what he was then I don’t see where all these guys are, I really don’t. 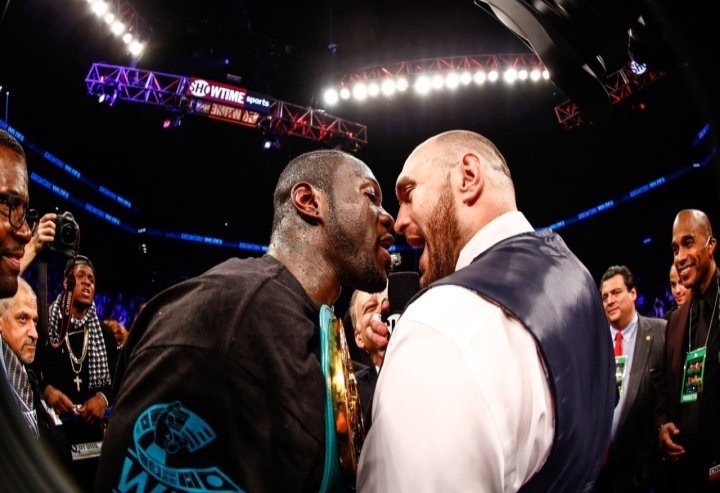 Of course, the upshot is they are all talking about fighting Deontay Wilder again but, you know what, Tyson wants to fight Wilder – or Joshua – and whatever of the fights we can make first we are going to make. Tyson has got a job to do first though and he is next back in business in Belfast on August 18 with Francesco Pianeta in the opposite corner at Windsor Park in support of Carl Frampton against Luke Jackson and Paddy Barnes’ world title bid against Cristofer Rosales for the WBC flyweight belt. He needs to come through this fight against Pianeta and then Wilder is the direction we’ll be going in. They are the fights we are going to make, no messing around, straight into them. Hopefully he comes through looking good in Belfast, then the logical first target is Wilder, who himself is craving a big occasion after negotiations to face Joshua ultimately came to nothing. To my mind, if anyone deserves to be fighting Wilder for his WBC world title it is Tyson. 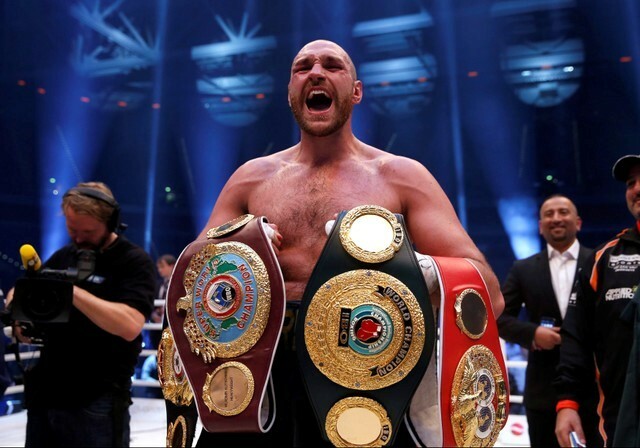 The likes of Whyte and Chisora have done okay, but it is the lineal champion who should be in there. I know jumping straight in with one of the world champions represents a departure from the original train of thought, but that is the mindset at the moment, so we will see. If he does what we hope he will do in his next fight then this is where we are at. We’ve invited Wilder over to Belfast for the fight and we are awaiting a response. I want to get the ball rolling on this. WHILE THE STRONG possibility of Tyson taking on Wilder is quite some prospect, we also have a done deal on the home front for fight fans to get excited about. 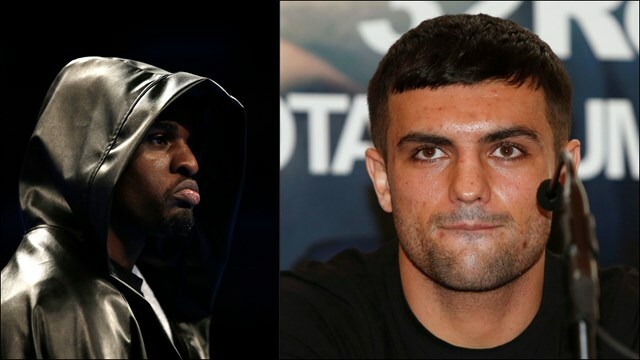 Jack Catterall and Ohara Davies – two of the very best young super lightweights in the country, if not the world – have agreed to fight each other and all that is left to determine is where we are going to put it on.